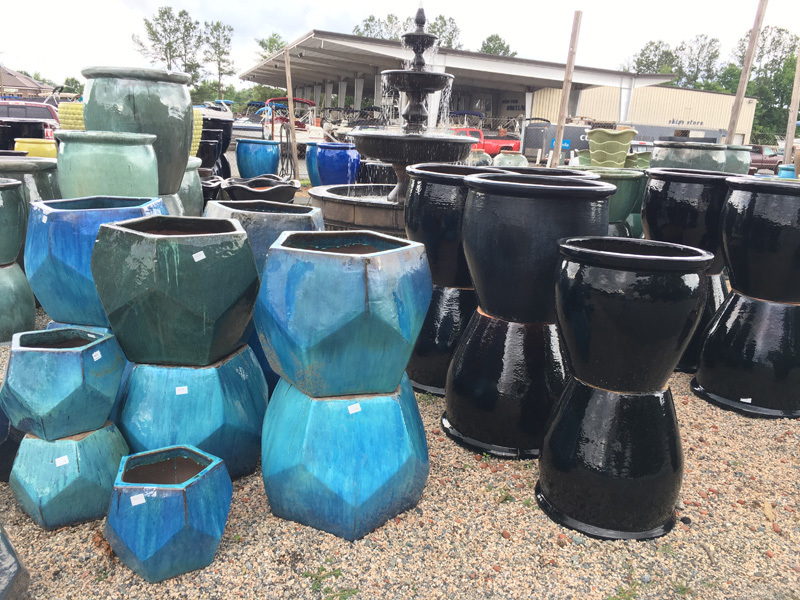 Hundreds of different options available! 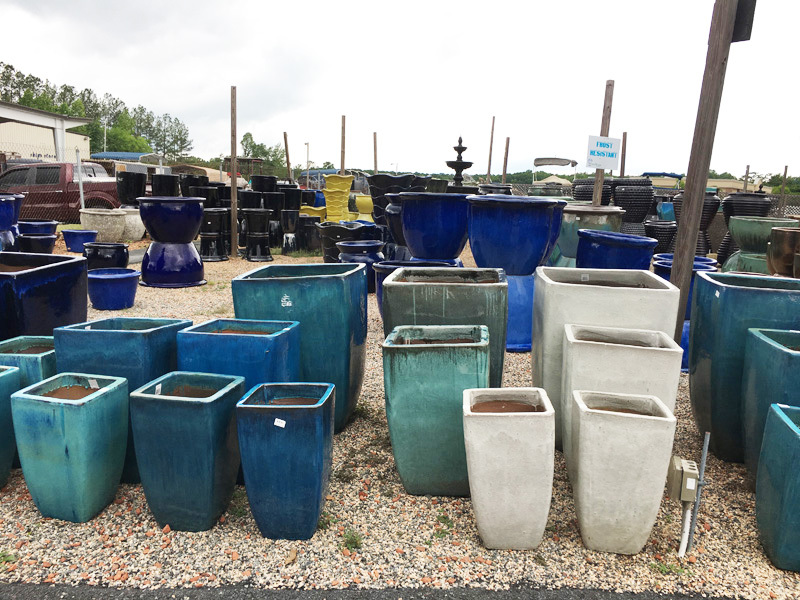 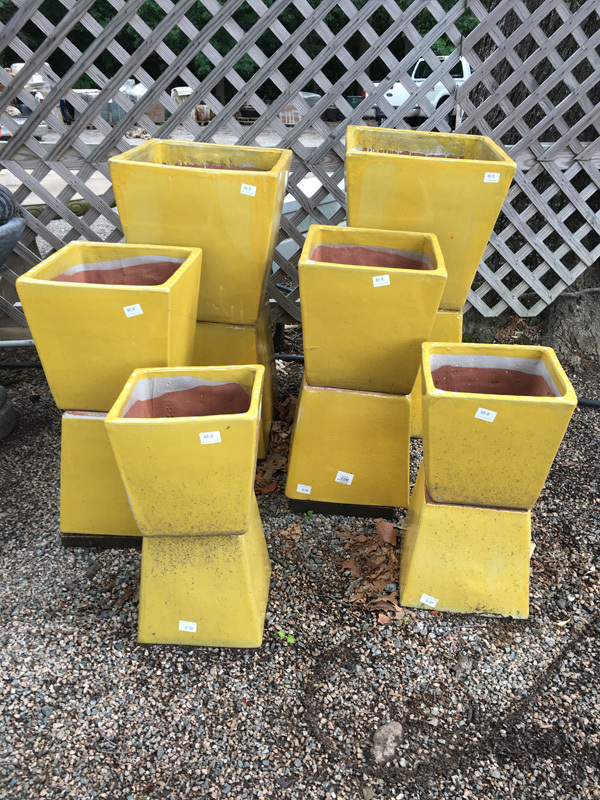 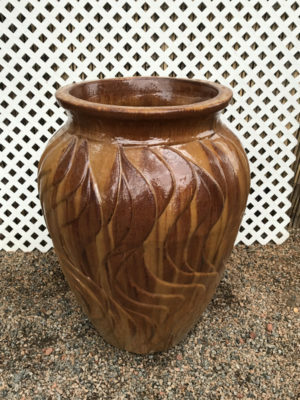 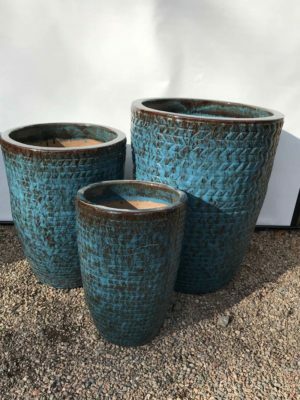 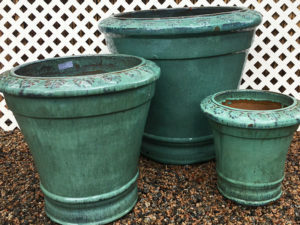 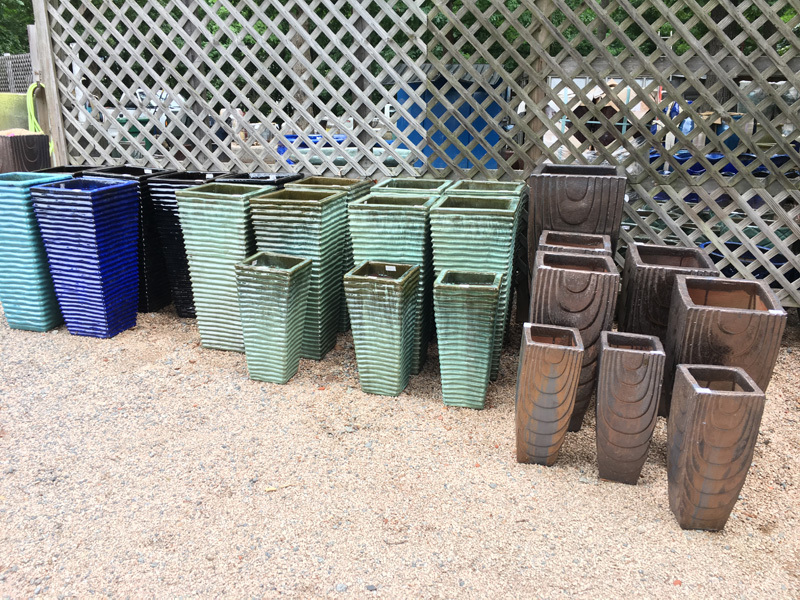 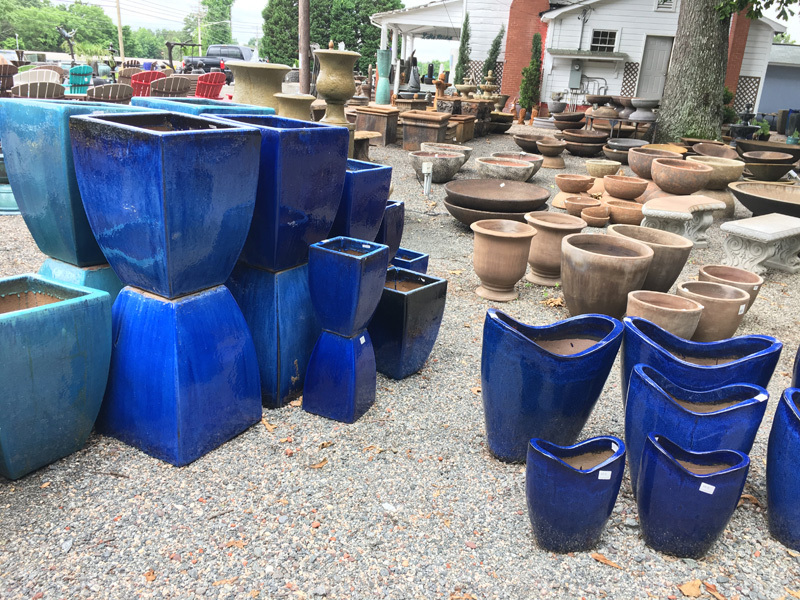 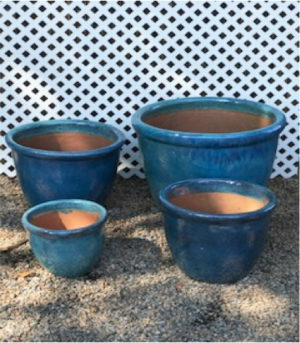 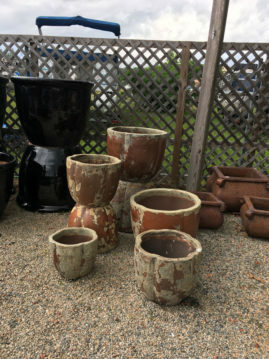 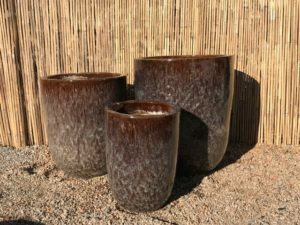 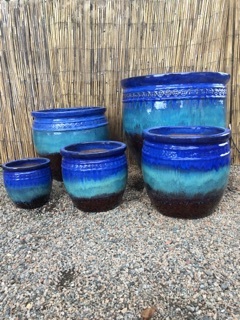 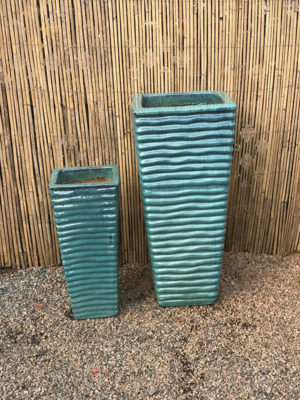 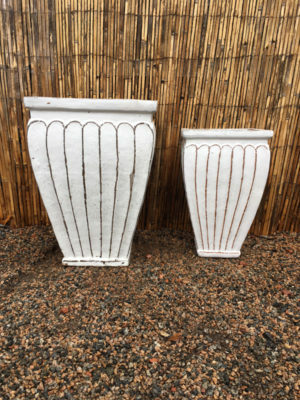 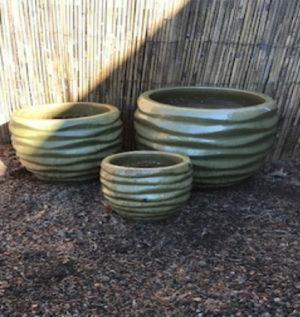 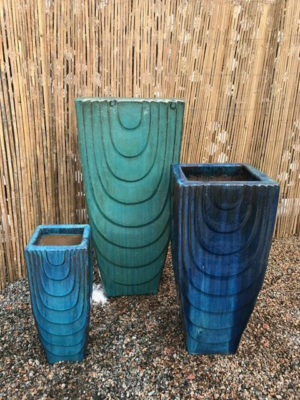 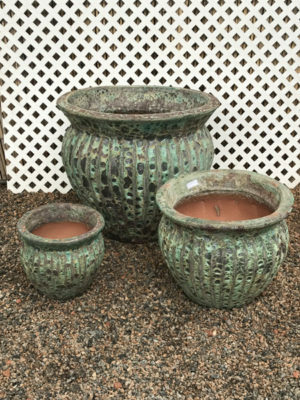 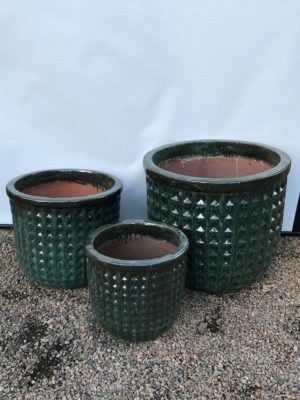 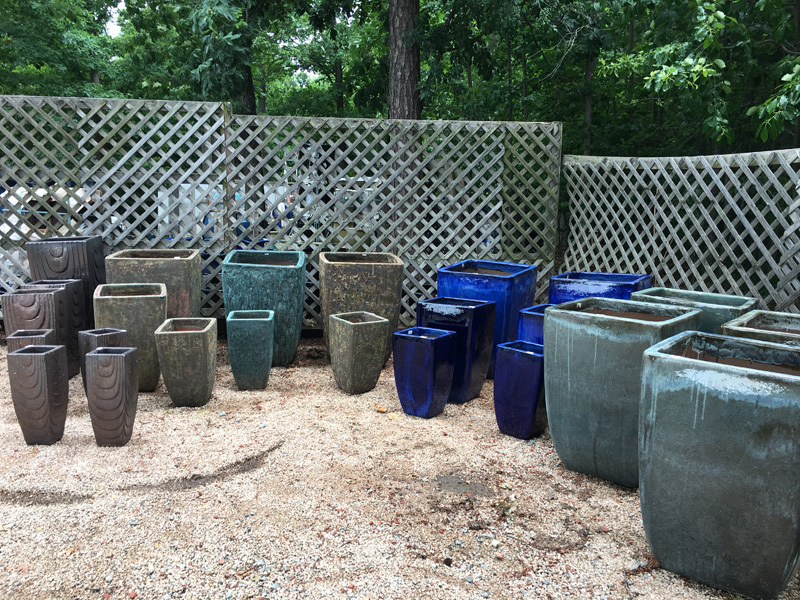 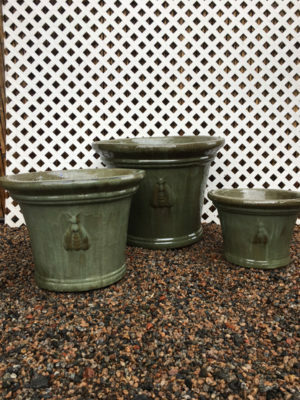 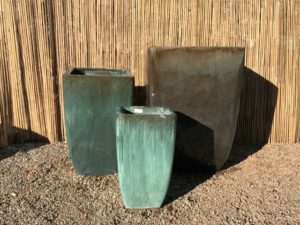 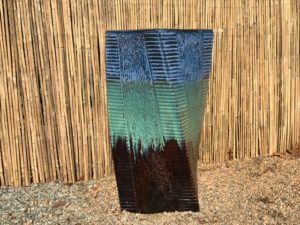 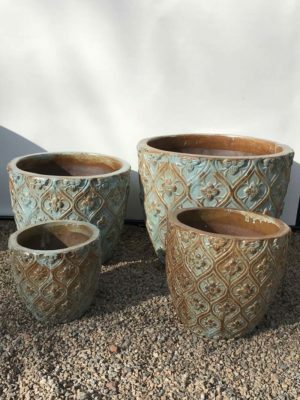 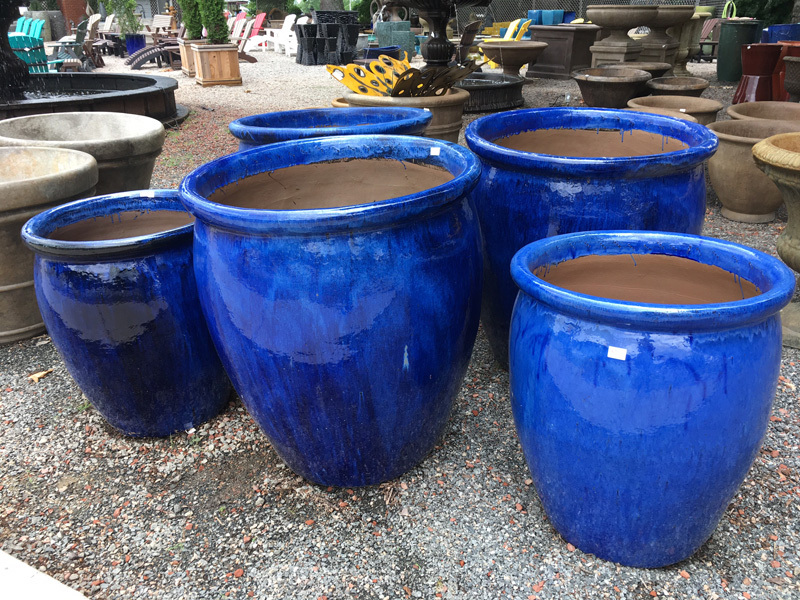 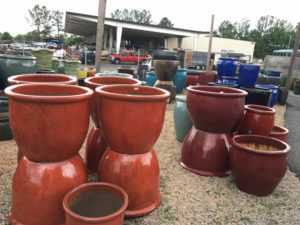 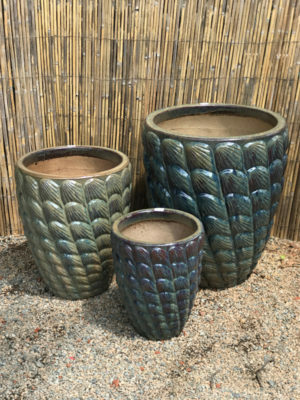 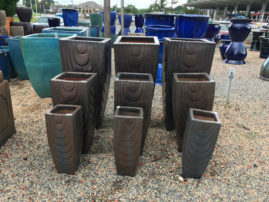 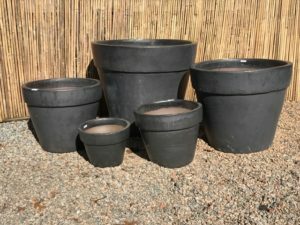 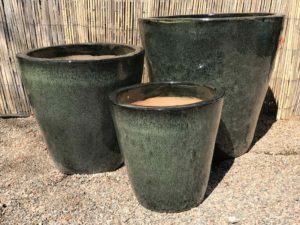 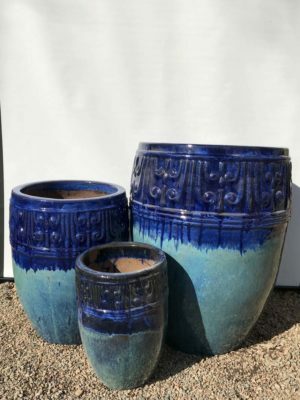 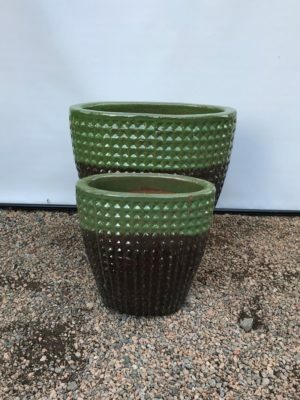 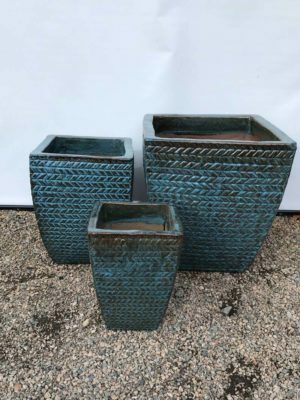 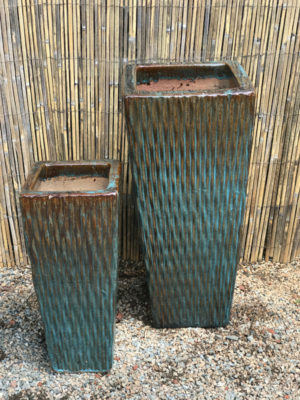 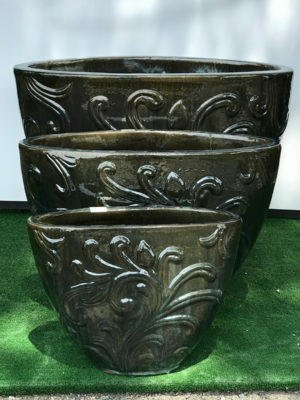 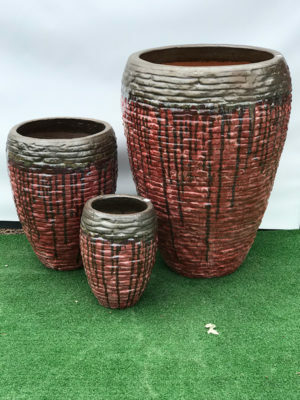 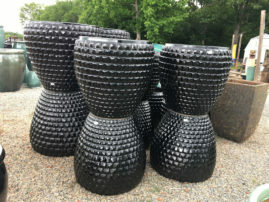 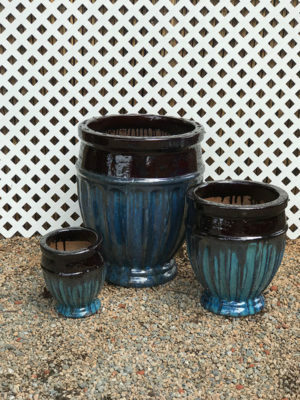 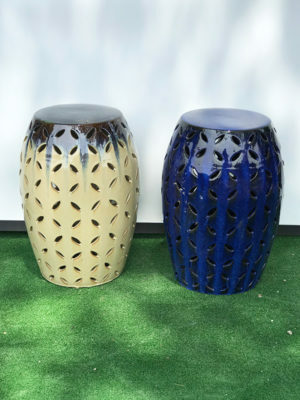 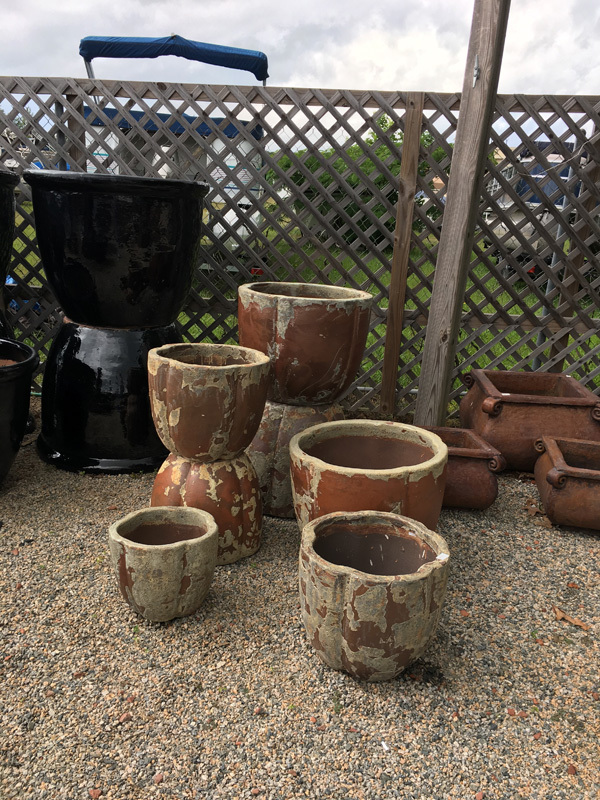 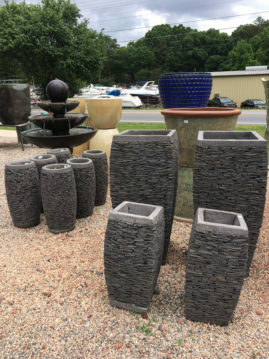 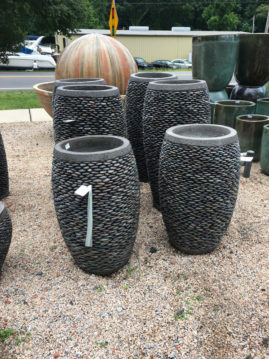 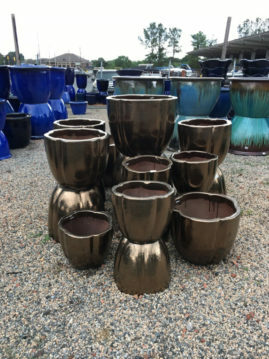 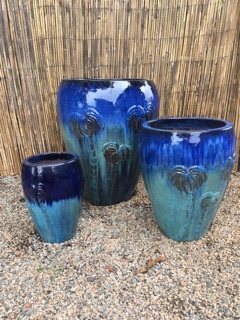 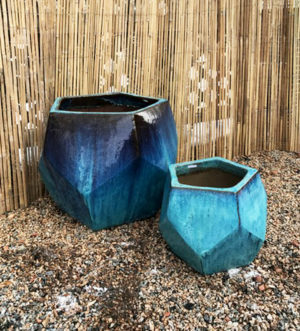 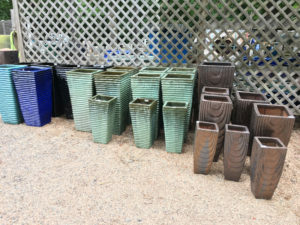 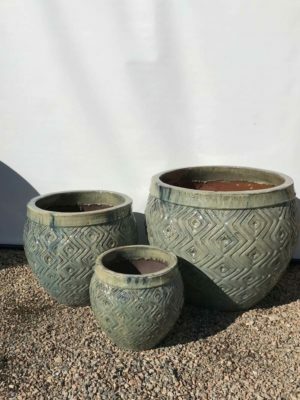 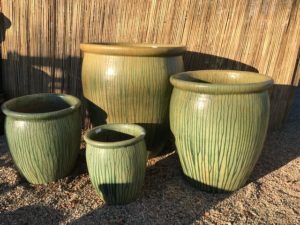 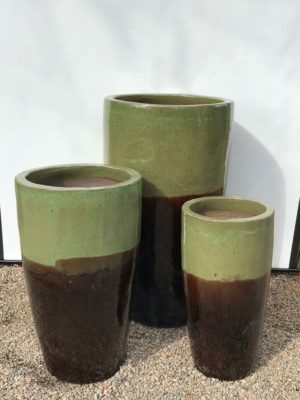 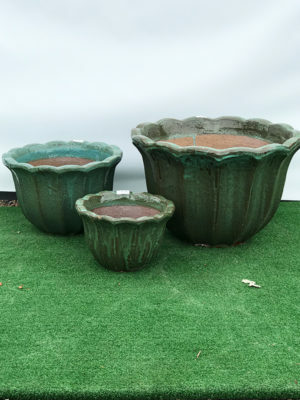 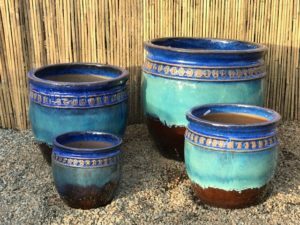 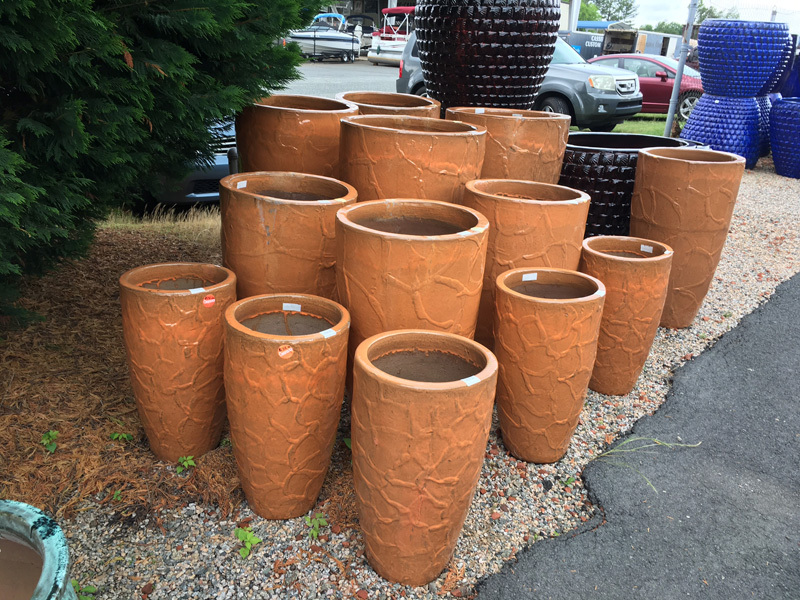 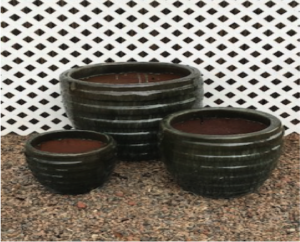 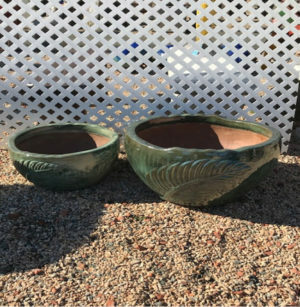 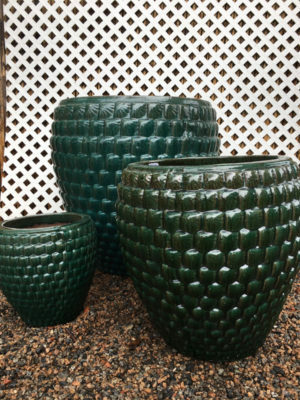 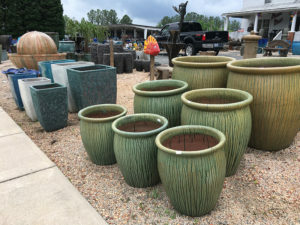 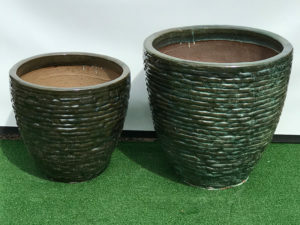 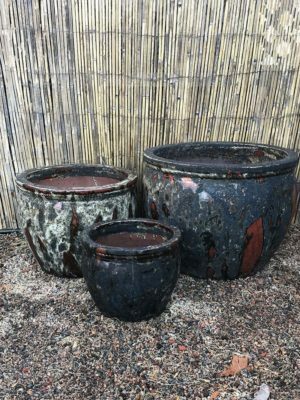 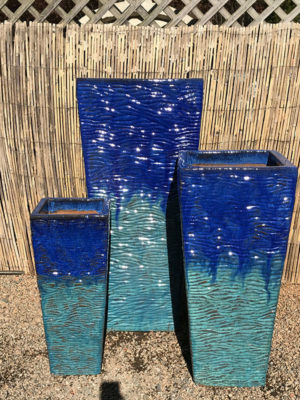 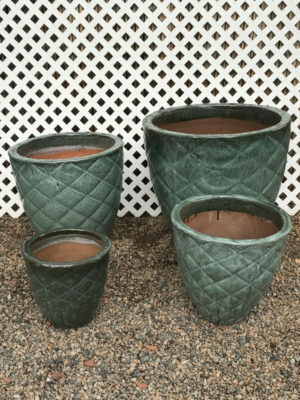 Our Garden Center includes a large selection of beautiful glazed pottery that will help bring any indoor or outdoor area to life! 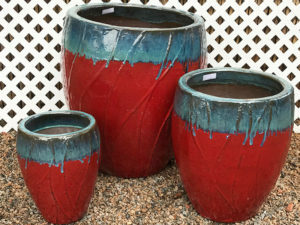 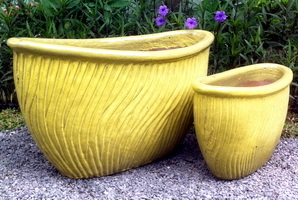 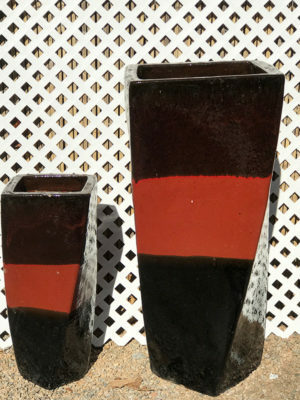 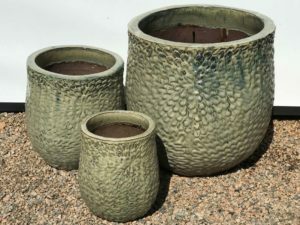 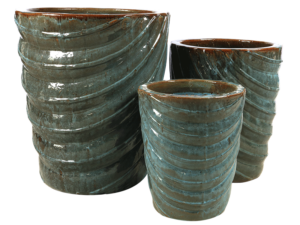 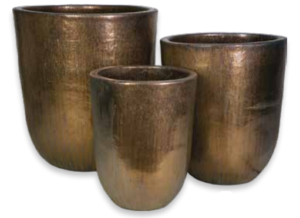 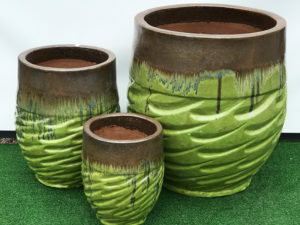 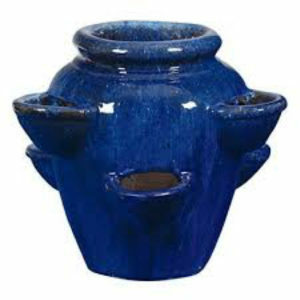 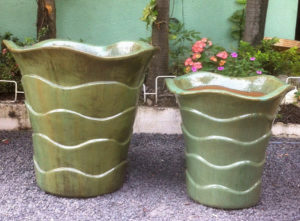 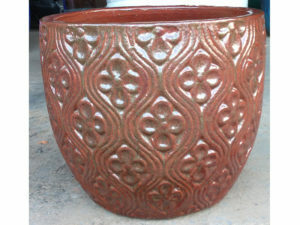 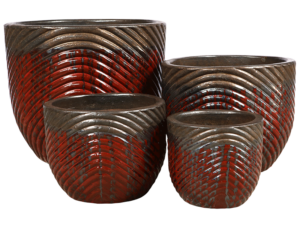 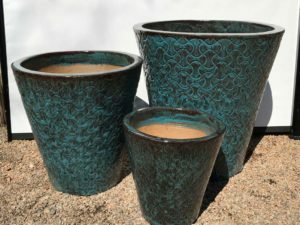 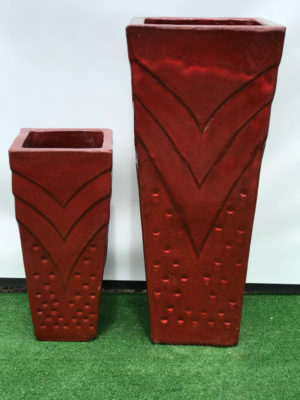 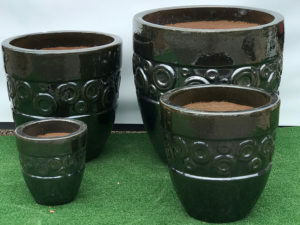 Our selection of glazed pottery comes in a variety of shapes, styles, heights, designs and colors. 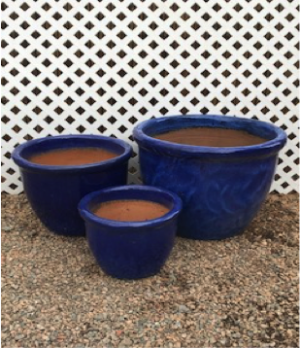 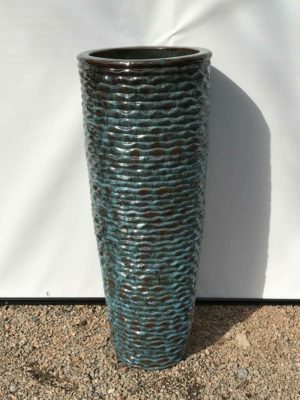 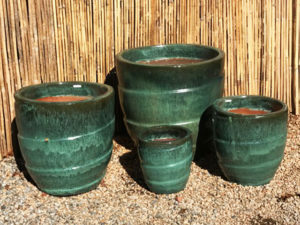 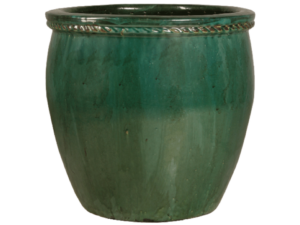 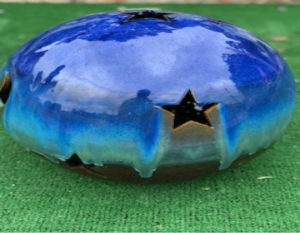 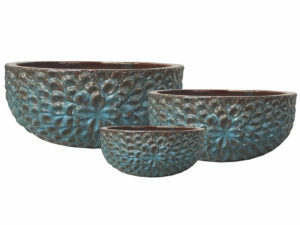 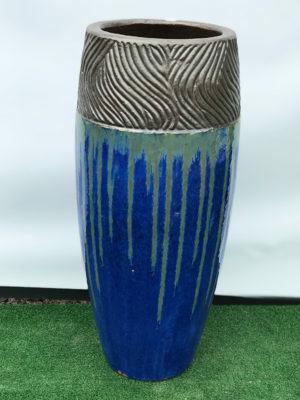 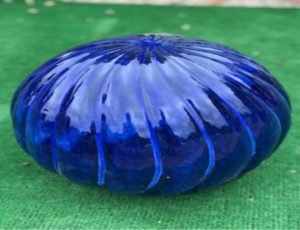 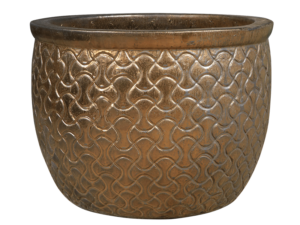 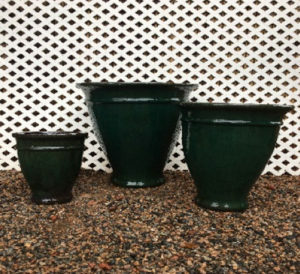 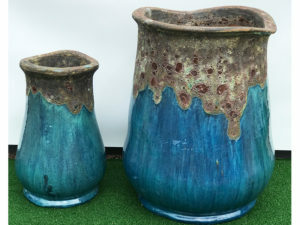 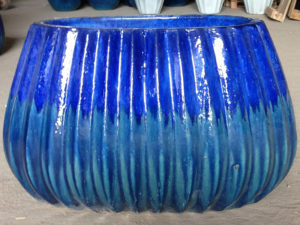 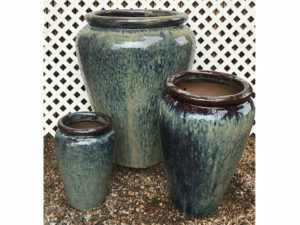 Below are product listings of some of our most popular glazed pottery items! To the right are images showing just some of our inventory at our Garden Center in Cornelius, NC. 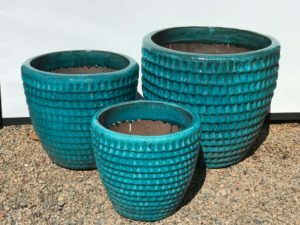 Available Colors (as shown in images): Ash, Aqua, Green. 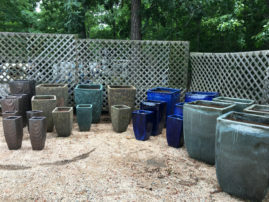 Available Colors (as shown in images): Aqua, Blue, Jade, Kaffee, Orange, Red Wine, Wasabi, Watermelon. 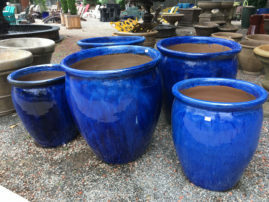 Available Colors (as shown in images): Aqua, Black, Blue, Cognac, Green, Jade, Mystic Ocean, Mystic Rain Forest, White. 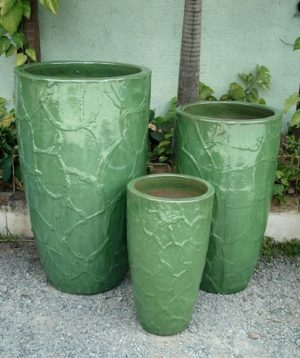 Available Colors (as shown in images): Moss Green, Tri-Color.